Police in Ballymena can confirm that a woman has died following a road traffic collision on the Lisnevenagh Road outside the town on Tuesday, October 10. 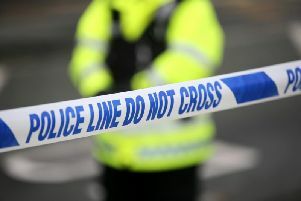 Police were called to the scene of the two-vehicle collision, which involved a Skoda Fabia and a Honda Civic, at around 5pm on the dual carriageway - the A26 between Ballymena and Antrim. The woman who died was a passenger in the Skoda Fabia. She has been named as Jean Wilkinson, aged in her 60s. A passenger in the Honda Civic was treated for her injuries at the scene by ambulance staff and subsequently taken to hospital as a precaution. The driver and another passenger in the Skoda Fabia were also treated at hospital for what are believed to have been minor injuries. Inspector Martin Ruddy said: “I’m appealing to anyone who was on the Lisnevenagh Road around the time of the collision and witnessed what occurred to get in touch with us.